Montessori material ..!! Large moveable alphabet with bandit mat that helps child sensorially ..!! That helps the child to take impression of the word and help them indirectly for writing because the words are placed on the bandit mat in the way children exactly write in four line note later ..!! Even though writing is been giving only by the age of 4 this helps in large scale to bring out their interest to explore with new words and when writing strokes in letters will not be difficult..!! 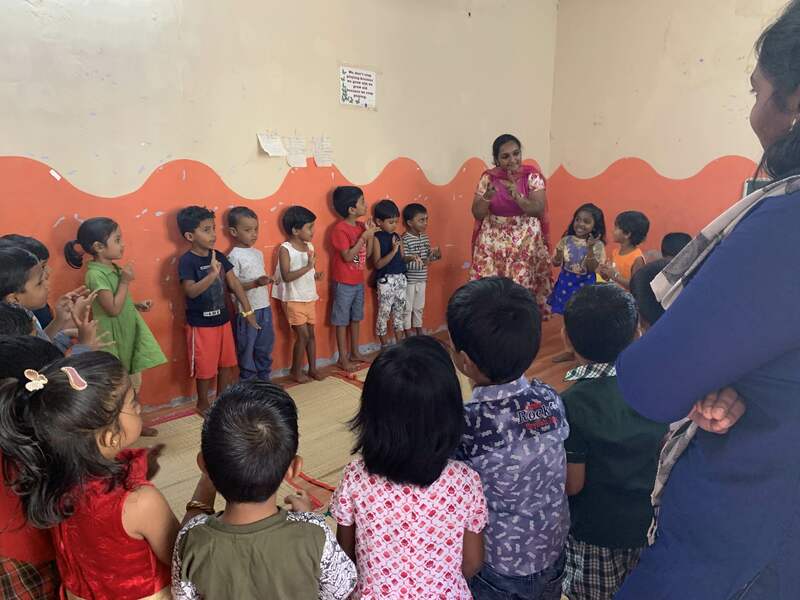 Advaita Montessori Best preschools in avinashi road tirupur Good play school in tirupur Advaita Montessori school tirupur Preschools avinashi road tirupur Preschools tirupur Montessori schools tirupur Best montessori schools tirupur Good Montessori school avinashi road tirupur Advaita Montessori house of children .! !